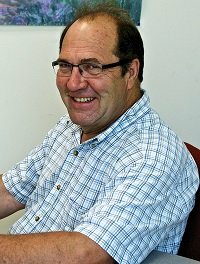 Bioinformatics Solutions Inc. (BSI) is proud to congratulate Prof. Gilles Lajoie, Facility Director at the University of Western Ontario (UWO), as the recipient of the 2018 Tony Pawson Proteomics Award from the Canadian National Proteomics Network (CNPN). The CNPN selection committee selected Prof. Lajoie because he is a world-renowned bioanalytical chemist who has specialized in mass spectrometry (MS) and proteomics in order to elucidate complex biological responses across a diverse range of systems. Working in different multidisciplinary research environments in academia and industry, Prof. Lajoie has developed and applied innovative technological approaches that have revolutionized the use of MS in biology and biomedical research. He has also led major initiatives to promote and fund biological mass spectrometry and proteomics in Canada. The CNPN-Tony Pawson Proteomics Award recognizes remarkable achievements on the fundamental understanding and/or practice of proteomics in biological sciences. Formerly called the “CNPN Distinguished Researcher Award”, this award was renamed in 2014 in recognition of the seminal contributions to the proteomics field of one of the most influential Canadian scientists of all time, the late Prof. Tony Pawson, who received the CNPN award in 2013. The award ceremony will take place on Thursday, May 3rd, 2018 during the CNPN 2018 meeting in Vancouver.